There has been a decrease in attacks carried out by terrorists since June 16 to July 15 in comparison to the month of Ramzan when the suspension of operations was in force, says the Home Ministry. 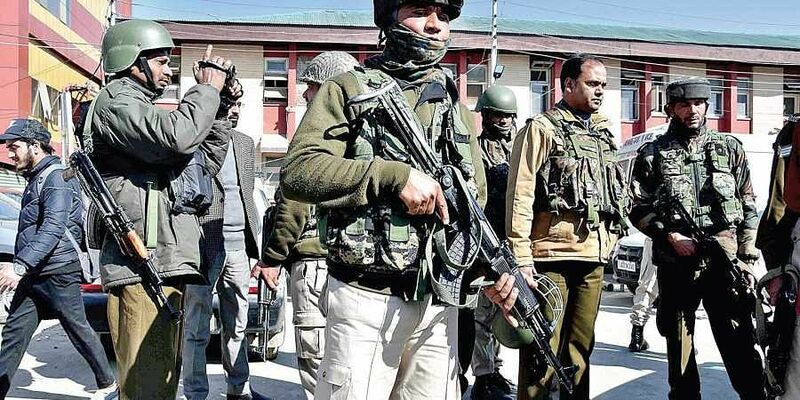 According to the data compiled by the Home Ministry, there has been a decrease in attacks carried out by terrorists since June 16 to July 15 in comparison to the month of Ramzan when the suspension of operations was in force when the suspension of operations was in force. As many as seven civilians were killed in operations carried out by security forces during Governor's rule as compared to four civilian deaths during the one month of suspension of operations. Will there be an end to let the people of Kashmir choose where they wish to be...independent, Part of India or Part of Pakistan. People of India and Pakistn should know they did not wish to be ruled by foreigners, Kshmiri people may also think of Indians and Pakistanis as foeigners and may not wish to be ruled by either. Give them a chance. Make Kashmir part of Bharat rather than Indian Administered. Have guts you dum cowardly Hindus.